Planning a group trip to Charlotte? Rely on Charlotte Charter Bus Company for the perfect transportation arrangements. 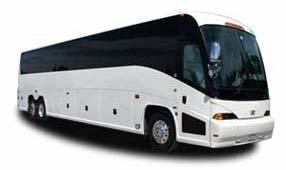 Whether you're headed to a wedding, sporting event, corporate conference, field trip, or personal vacation, we've got a charter bus model that's just right for your group. Reserve yours today by calling our 24-hour team at 704-302-1258. We'll provide you with a free quote and ensure that you receive the best bus for your trip!